Cricket Australia have announced a squad for the upcoming T20I and ODI series against India, which starts with the first T20I in Vishakapatnam on February 24. T20I and ODI squad: Aaron Finch (capt), Usman Khawaja, Shaun Marsh, Peter Handscomb, Glenn Maxwell, Ashton Turner, Marcus Stoinis, Alex Carey, Pat Cummins, Nathan Coulter-Nile, Jhye Richardson, Kane Richardson, Jason Behrendorff, Nathan Lyon, and Adam Zampa. D'Arcy Short has been included as cover for Shaun Marsh, who will miss the first two ODI matches to attend to the birth of his second child. Peter Siddle and Mitchell Marsh have been dropped from the squad that faced India in January. Siddle managed just two wickets at an average of 81 and Marsh didn't play a game during that series. Ashton Turner has effectively been selected in place of Marsh, having been included as cover for him in the ODI series against India in January. His selection can be justified by his record in this season of the Big Bash League, where he scored 378 runs at an average of 34.36. 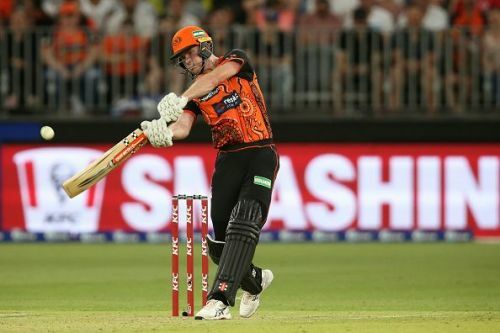 Short's inclusion can also be attributed to his success at the Big Bash League, where he is currently the leading run-scorer with 595 runs at an average of 59.50. That said, it is unsure where he currently stands in Australia's World Cup plans, with his effectiveness as an opening batsman diminished by the certainty of Aaron Finch and David Warner opening at the World Cup this year. Kane Richardson has been selected following exceptional form at the Big Bash League. 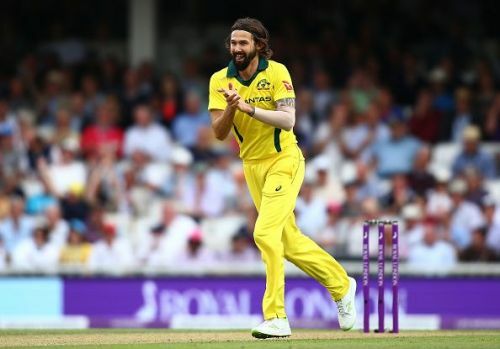 Kane Richardson is currently the leading bowler at the Big Bash League, with 24 wickets this season at an average of 14.91. His inclusion strengthens a bowling attack that is bereft of Mitchell Starc (pectoral muscle injury) and Josh Hazlewood (back stress fracture). Jhye Richardson and Jason Behrendorff's inclusion was a certainty (barring injury) as they had impressed against India earlier. Behrendorff was a cover for Starc and Jhye Richardson was effective with his pace and accuracy against India and Sri Lanka. Usman Khawaja and Peter Handscomb were selected in a continuation of the measured and accumulative approach adopted by Australia. Handscomb in particular impressed with 153 runs at an average of 51 against India, and is set to continue batting at the No. 5 position. Even though Australia don't seem sure of the 15 players that will go to the World Cup 2019, there appears to be a better idea of the batsmen and pace bowlers that will be in the squad. Starc, Hazlewood, Cummins, Warner, Finch, Marcus Stoinis, Shaun Marsh and Handscomb appear to be certainties at this point. The same cannot be said for the spin bowlers, with both Nathan Lyon and Adam Zampa proving ineffective against India. The two have been selected again, and they will have another chance to prove their wicket-taking ability. The ODI series against Pakistan in March will give a better idea of the team that will go to the World Cup and will (hopefully) be strengthened by the addition of Starc, Hazlewood and Warner. Steven Smith's recovery time from his elbow surgery rules him out of contention, and he could potentially miss the World Cup should Australia not want to rush his recovery.